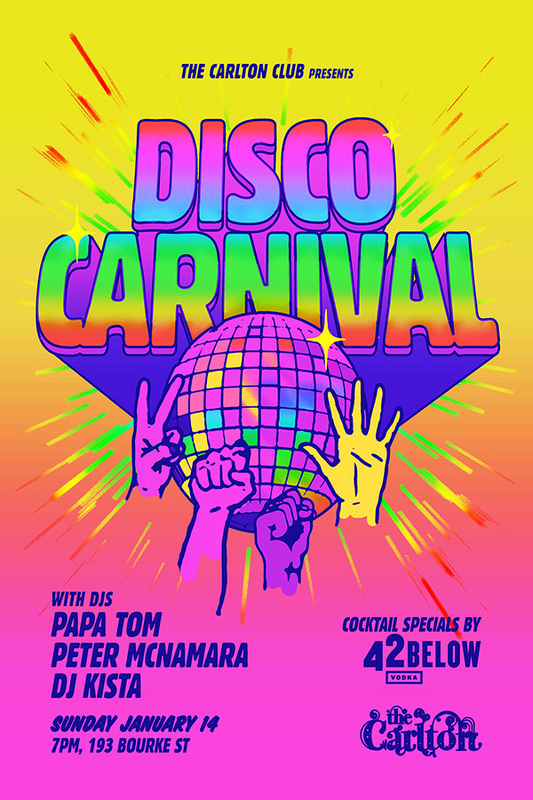 It’s time to celebrate the disco rainbow with Papa Tom, Peter Mc Namara and DJ Kista. Disco Carnival kicks off at 7 and finishes when the dance floor is empty. Check your crap at the door. The Carlton Club is a place for all people to come together to enjoy themselves. We have a strict no DICKHEAD policy. This means we have zero-tolerance towards sexual abuse, harassment and any anti-social, homophobic, transphobic, biphobic or racist behaviour.